Well done. A PM will be sent to you via the forum with details of how to claim your Platinum. 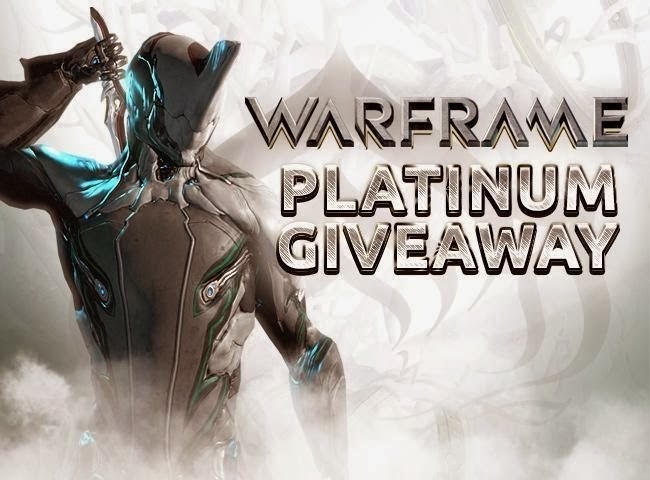 Playstation Online have teamed up with Digital Extremes to giveaway Platinum to help boost your Warframe experience. Over the next 9 weeks we will be giving away 9 bundles of 370 Platinum. Each week we will be asking a question about Warframe. The best answers or suggestions will be forwarded to the developers so you may see some of your ideas in the game. This weeks question: What Trophies would you like added to Warframe. To enter you have two steps. Enter your PSN name in the comments section. The winner will be drawn every Friday and you will get your Platinum via code added direct to your Warframe account. I have now found out that you can only win once but please feel free to tell a friend. Big thanks to Digital Extremes: Julie PR, Meridith and Megan (Official Forums).